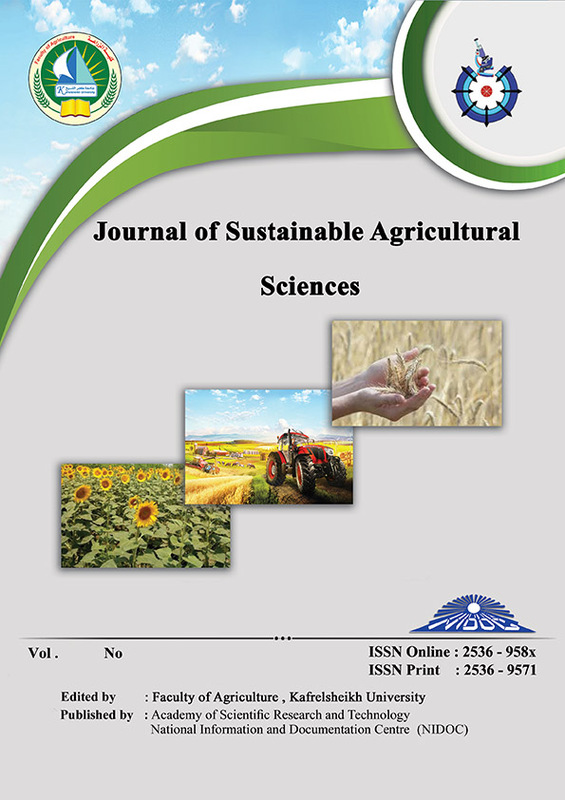 1- Obtained results showed that all traits of kenaf were significantly affected by intercropping system of maize with kenaf and nitrogen fertilizer, except plant height, fruting zone length, technical length and green yield/plant as compared with pure stand in both seasons. Intercropping system of 4 M:2K(S3) recorded the highest values for all character, while, the lowest values were obtained from intercropping 1M:2K ( S1). 2- All characters for yield and yield components of maize were significantly affected by intercropping system and nitrogen fertilizer in the two seasons, except plant height in the first season .The highest values (14.11and13.66) were obtained from intercropping kenaf with maize on S3(4M:2K) in both seasons with hight rate of nitrogen fertilizer N3 65kgN/fed. ).Whereas lower values (11.14 and12.02 ard./fed) were obtained from intercropping system S1(2kenaf:1maize)with lower rate on nitrogen fertilizer N1(45kgN/fed). 3-The interactions between intercropping system and nitrogen rates of kenaf and maizet had no significant effect on all maize and kenaf characters under study in the both seasons. 4- The highest values of land equivalent ratio (LER) was1.5 in both seasons from intercropping kenaf with maize on S3(4maize:2 kenaf) under the hightest nitrogen rate(165kgN/fed.) 5- The highest gross return was obtained with intercropping system 4M:2K(S3) in both seasons(9250.633 and 9370.92 in the first and second seasons,resp.). From this study it could be concluded that, the best results were kenaf was obtained by intercropping system of four ridges maize with two ridges kenaf under the highest nitrogen rate of N3(165 kgN/fed. ).